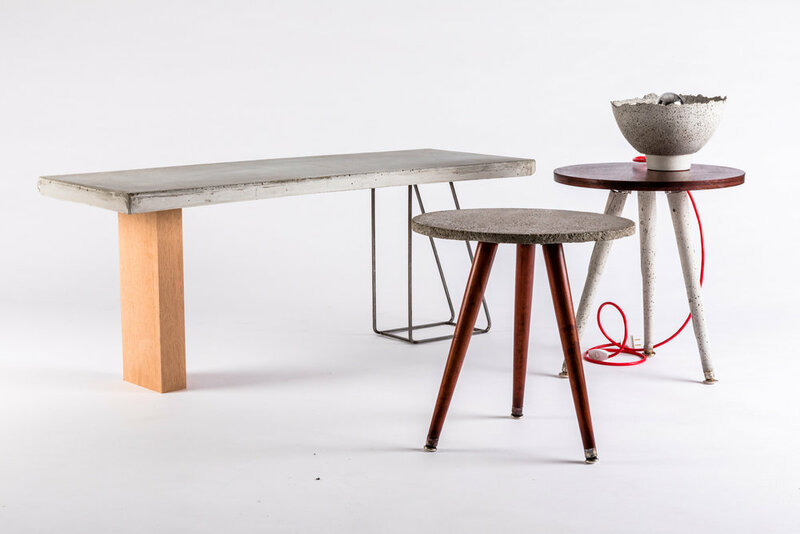 LALAYA Design’s innovative use of thin concrete and smooth polished finish bring a fresh take on the classical three-legged side-table. 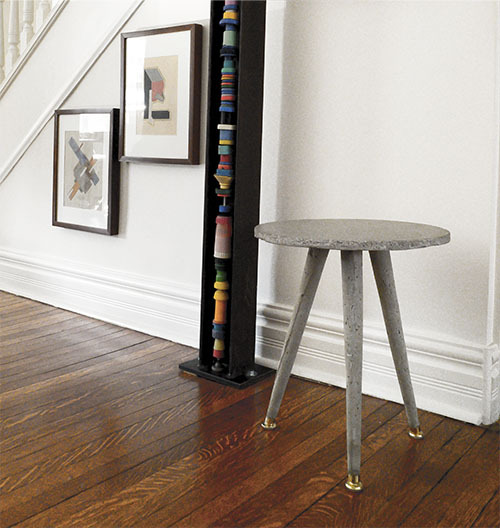 You can choose to pair the concrete table top with turned wooden legs or hand-cast concrete legs. The table’s name mimicks the sound of Brazilian drums. KA TSI KA TA looks great on its own and is at its very best when paired with its mirror image (the TA KA TSI KA side table).